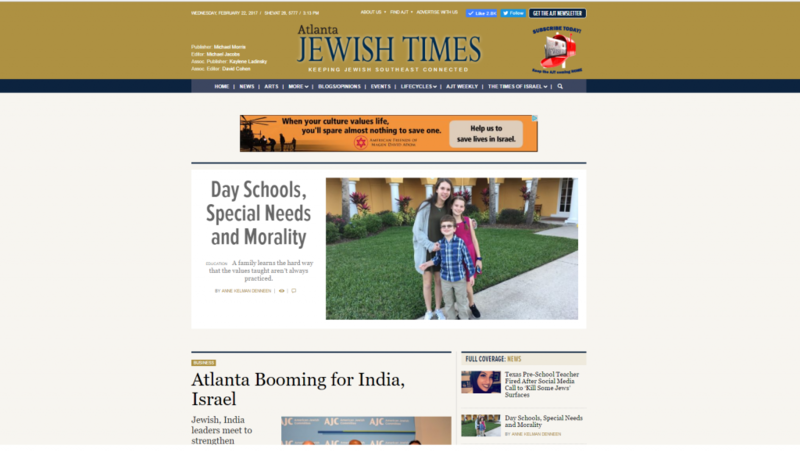 The Atlanta Jewish Times has launched a new website as a local partner of The Times of Israel. The AJT's website now looks and works better than it ever has before. As a result, our online address, and we hope your home for Jewish news and community, has changed. 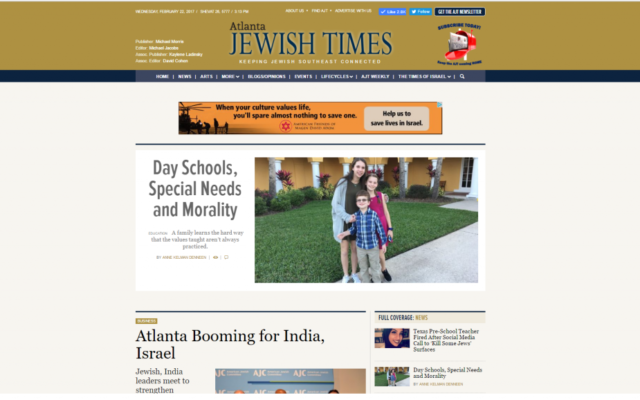 While www.atlantajewishtimes.com will still get you there, our official home is atlantajewishtimes.timesofisrael.com. That longer URL — bookmark it and you can forget it — reflects our membership in the partner network The Times of Israel is building. It brings together some of the leading independent publications in Jewish news: the online-only Times of Israel; the Jewish News of England; the Jewish Week of New York; the Jewish Standard of northern New Jersey; and your AJT. More sites are on the way. Each member of the network retains its editorial and business independence, but by creating one Jewish news ecosystem online, we make it easy for users to jump from one site to another. And we’re in a stronger position to bring you the information you need and want online and to serve your advertising and marketing needs. Our focus remains on the local Jewish news and discussions you can’t get anywhere else, but now we’ll be able to do much more.